In a r ecent blog post, Jan Bruce, founder and CEO of meQuilibrium, introduced me to the idea of second-hand stress. A distant cousin of second-hand smoke, which we’ve long known to be hazardous to our health, second-hand stress is a recognized condition that indicates you can actually “catch” stress from other people. Who knew that stress was contagious? Okay, so your kid slams the door on her way in after school, throws her book bag against the wall and starts pacing back and forth in your kitchen, all the while muttering (or yelling) about the injustices of middle school, teachers, fickle friends, and life in general. You, once a teenager yourself and now a caring mother/father, notice the hair on the back of your neck prickling, your heart rate speeding up, and your palms getting sweaty. You’ve picked up a case of stress from your daughter! meQ recommends building “an emotional buffer zone, [which] allows you the space to feel, acknowledge, and name your reactions as they are happening.” This will protect you from the harmful effects of your own stress response and help you channel your energy into a positive reaction. Trap it, Map it, Zap it: Be aware of your body and emotions. Figure out where these emotions are coming from and what thoughts are behind them. Then, decide if these thoughts are based on reality, or are they just your own interpretation of the situation? Relaxation Techniques: “The more you practice simple relaxation techniques, the faster and more powerfully they come to your aid when you need them.” Check out these quick-fix relaxation techniques from meQ. Boundaries: Know what your boundaries are and make sure to stick to them. Are there topics you need to avoid with certain people? Are there times of day that should be off-limits for serious discussions with your spouse? Here are some other examples of personal boundaries. To read the entire meQuilibrium post on second-hand stress, click here. How do you protect yourself from it? First image courtesy of meQ; second image courtesy of Flickr user CollegeDegrees360 via CC. 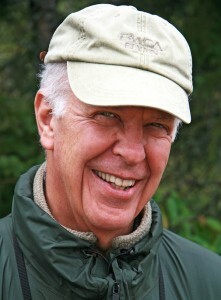 Parker Palmer is a Quaker teacher, writer, and world-renowned speaker and activist. He has received ten honorary doctorates in addition to his other academic accomplishments. He is the founding partner of the Center for Courage & Renewal which, according to his wikipedia page, “oversees the “Courage to Teach” program for K-12 educators across the country and parallel programs for people in other professions, including medicine, law, ministry and philanthropy.” By any account, Palmer is successful, leading a fulfilling life and reaching many people with his ministry. And yet, at the height of his success, Palmer, when in his mid-forties, faced for the first time a debilitating depression. In real life this can be so hard to do. 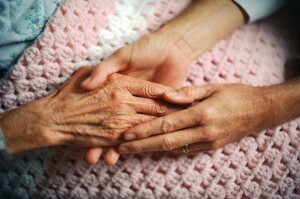 When someone we care about is in pain, we naturally want to do all we can to help ease their suffering. But as Palmer goes on to write, “One of the hardest things we must do sometimes is to be present to another person’s pain without trying to “fix” it, to simply stand respectfully at the edge of that person’s mystery and misery” [p. 63]. When you start understanding wholeness not as perfection but as embracing everything you are, then you become able to talk about it [weakness] and to invite other people to share those same pieces of their own lives. 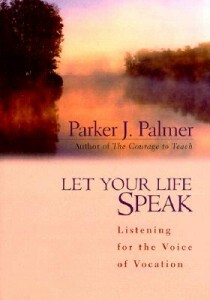 For many people, Palmer included, writing and speaking about depression has been part of the healing process. It can be so hard to take that first step and open our mouths to admit we are struggling, but so often that experience is liberating. I know for me, when I have the courage to share with a trusted friend about my story, I open up the possibility of receiving new support, deepening that relationship, and allowing the other person to be honest about her own suffering. Thank you Mr. Palmer, for your honesty and vulnerability, and for reminding us all that we are not alone in our suffering. In fact, suffering is simply part of being a member of the human race. The 4-minute video interview with him talking about writing publicly about depression is excellent. Click here to watch the short video. His book, Let Your Life Speak, is excellent! Well worth purchasing or checking out of your local library. The website of his organization, the Center for Courage & Renewal, is pretty fascinating. Posted on February 18, 2014 by Dwight Tucker Jr. So here we are a couple of months into 2014, and my wife and I are still discussing our goals, our vision and our plans for the year. We have talked about finding more ways to keep ourselves and each other on track. As parents who both work full time, the To-Do-List is an important tool for getting things done in our home. If you ask my wife, she might say that the Honey-Do-List is the only way things get done in our home. 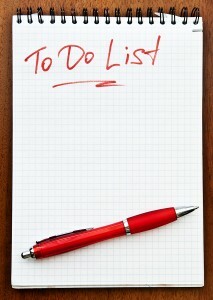 Sometimes “The List” is an actual list written on a notepad or on the dry erase board, or even a post it note. Other times, it involves her leaving me a voicemail message, sending a text or an email, or just telling me. Without task or to-do lists, it is easy to become overwhelmed by the amount of things you have to do, and it is also far more likely that you will forget things. Many of us are familiar with the phrase, “There’s an app for that.” Recently Forbes magazine released its list of The 9 Best To-Do List Apps For 2014. When it comes to managing, scheduling, prioritizing, sharing, and completing tasks on a To-Do-List, taking advantage of these digital apps can help you organize and juggle multiple to-do-lists, meet tight deadlines, and make better use of your valuable time. By being creative with your To-Do-List, you can provide yourself a healthy framework for accountability, affirmation, improved focus, motivation, organization, prioritizing, time keeping, and increased productivity or efficiency. Developing a daily routine is one of the most powerful ways to become better at keeping and completing To-Do-Lists. You might find some inspiration from these seven famous entrepreneurs and their routines. When you flip your perspective by reflecting on what you actually got done at the end of the day, you’re looking at real, concrete evidence of productivity rather than thinking about all the should’ve, could’ve, would’ves. At that point, the To-Do-List, becomes the Done List. What is your relationship with To-Do-Lists? Share what works for you in the comments below. With snow in the forecast for much of Central and Eastern North Carolina today, this is a timely reflection from Wellness Advocate, Lisa MacKenzie. Last week I visited my daughter, her husband, and my 5-month-old granddaughter in Pennsylvania. It was bitterly cold and snowy, and I realized that I had been missing the crisp mid-winter chill and crunchy snow and the hush that comes with January storms in the northeast. Looking out the kitchen window one morning, holding baby Guin, I watched cardinals in the front hedge against the pure white of fresh snow and thought about the 2 months of winter ahead and the storms that would inevitably come along with the disruption and inconvenience of slippery roads, school closings and frozen pipes. But in all the chaos of storms comes the blessing of solitude and stillness. 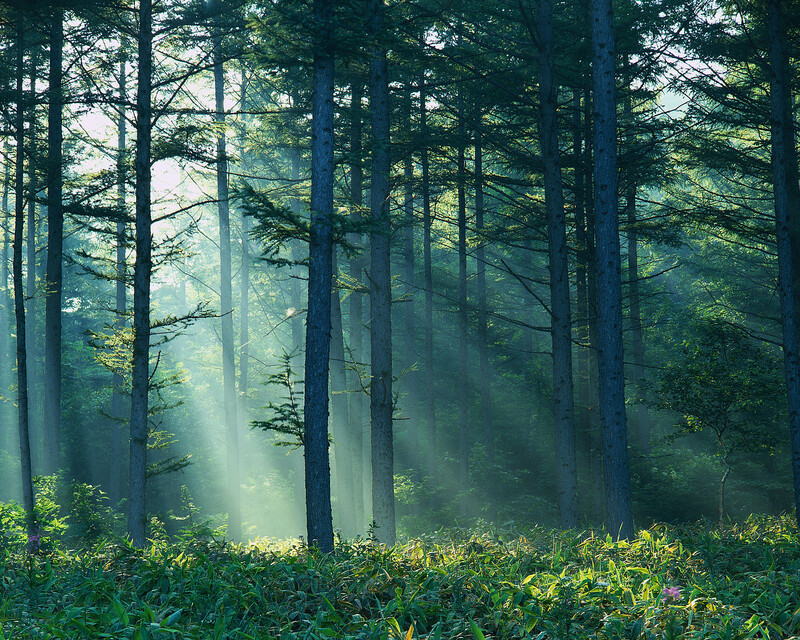 I thought that morning that I had been given this gift of space and solitude many times but often didn’t acknowledge the gift—maybe it was the warmth and cuddliness of a baby and the smell of wood smoke along with the softness of the gentle light at dawn that became prayer in the quiet kitchen. That morning I didn’t miss the gift. What I realized, or perhaps simply remembered, is that snow is a reminder to take pause, with others or even just with ourselves. 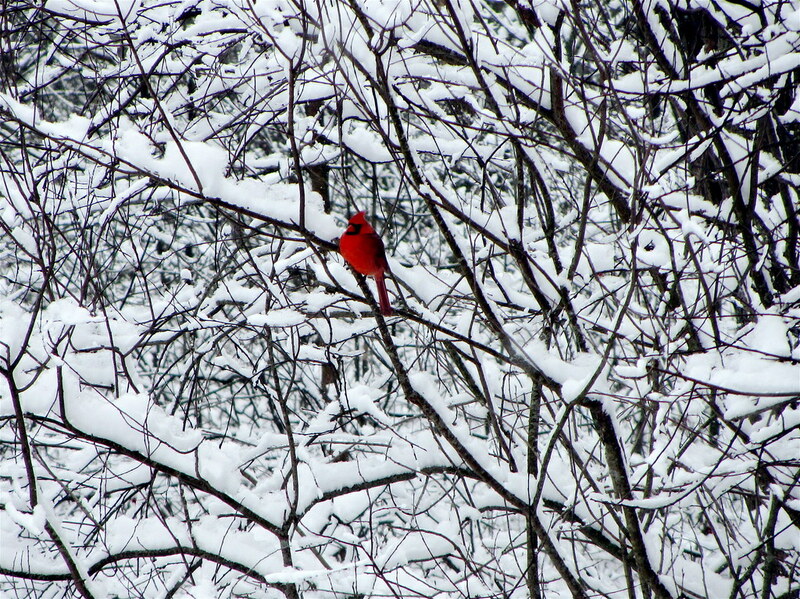 The presence of snow can be a great spiritual exercise for us, inviting us to quiet down and be with ourselves. • Read a good book. 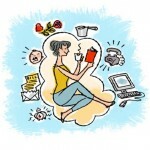 Though it might sound cliché, how often have you “been meaning to” read something but never gotten around to it? Maybe there’s a spiritual read you’ve been meaning to pick up. Try starting the book on a snow day and then reading five pages each night as part of your nightly prayer. • Have fun. There is no rule that only kids can have fun in the snow. When was the last time you went sledding? Went for a walk in the woods during winter? Went ice-skating? Built a snowman? A snow day is the time. • Take a good look at snow. 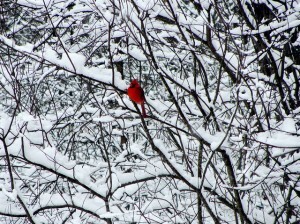 Snow is symbolic of so much of the spiritual beauty in our lives. Why do you think God made snow the way it is? Would it convey the same feelings if it were a different color? Different texture? Each snowflake is unique, reflecting the diversity of God’s creation. It’s made of water, which can be both soothing and powerful, reflecting the humility and omnipotence of God. Take a glove-full of fresh snow and meditate on the beauty and paradox of God’s creation. So now I am home in Apex and it seems to me it’s time for a snow day… maybe you think so too. This is the third in a special series on Sabbath by guest blogger Rev. Dianne Lawhorn. Please read the first installment here and the second installment here. We offer these reflections in the hope that over the next weeks you will feel invited to deepen your own Sabbath practice. Check back next Monday to read the rest of Dianne’s thoughts on this important topic. What we are getting at here is the idea of embracing a new rhythm for life. Rhythms are a normal and natural part of our everyday lives. There is a rhythm of the day dissolving into the night. There is a rhythm of growth and dormancy in our landscape through the seasons. There is a tidal rhythm in the ebb and flow of the sea. There is a bodily rhythm in our waking and sleeping. At the heart of who we are is rhythm, as our hearts beat and then rest between each beat. This rhythm of activity and rest is something that is so very essential for us. 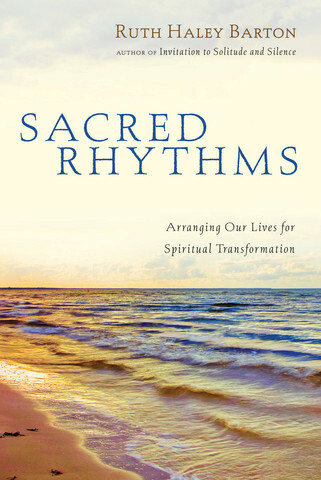 Author Ruth Haley Barton, writes about this in her book, Sacred Rhythms. She talks about discovering that some people arrange their lives to see sunsets. It becomes a part of their daily rhythm. She tells the story about embracing this practice for herself. She described rushing around, busy with errands one day, and realizing that she was going to be late for the sunset. Hearing her beach chair calling her name, she dropped all of the goods that she intended to buy and rushed to meet her sunset, to experience holy rest at last. I simply love this idea of embracing as a spiritual practice watching the sun go down every night. I love the idea of scheduling your activities so that you don’t miss out on one of earth’s most beautiful rhythms. I’m sure for Ruth Haley Barton, her time in the sunset is time that she sets apart to sit in the presence of God. I’m sure it provides a relaxing and peaceful end to her busy day. 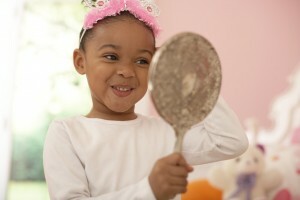 This is a rhythm that she has embraced to include holy rest– not every month, or every week, but every day of her life. It’s a beautiful idea, isn’t it? For most of us, it sounds great, but it isn’t something that we feel is very practical. But why can’t this kind of a “stop” be a reality for us, maybe not every day, but just one day a week? Are we really too busy for that? Have we lost this rhythm of life, the balance between work and rest forever? What we are being invited into through Sabbath-Rest is a new rhythm. It’s a rhythm that God designed for our benefit. It’s a rhythm where we take a long, loving look at our Creator and leave the work up to God. It’s a rhythm where we stop, we become still, we notice, we celebrate our God, who is the source of all blessings. Only when we stop, will we really enter in to God’s rest. Only when we stop will we experience the recovery of mind, body, and spirit that we need. So, the question we are left with is- how do we do it, how do we make this kind of holy rest a reality in our lives? 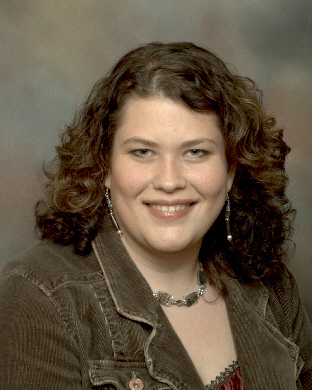 Dianne is currently the Minister of Spiritual Formation for the Lydia Group which is a resource for spiritual wholeness offering formational teaching, retreat leadership, and spiritual direction. Everyone knows that dogs are fun to have around, but do you know that they are also good for your mind and body? When my family adopted Franny from the shelter last winter, our exercise levels all improved. Not only did we walk more frequently but we started walking longer, and having more fun doing it. There’s also something undeniably sweet about coming home after a long day to a creature that just loves you so much she can’t stop wiggling from nose to tail! These good outcomes of dog ownership are not merely anecdotal. Research has shown that having a dog can help reduce the stress hormone cortisol while boosting good hormones such as oxytocin, serotonin, and dopamine. These changes in brain chemistry can have very real impacts on our mood during the day, can alter what cravings we experience, and can even impact how well we sleep at night. Research also shows the ways that owning a dog increases exercise. 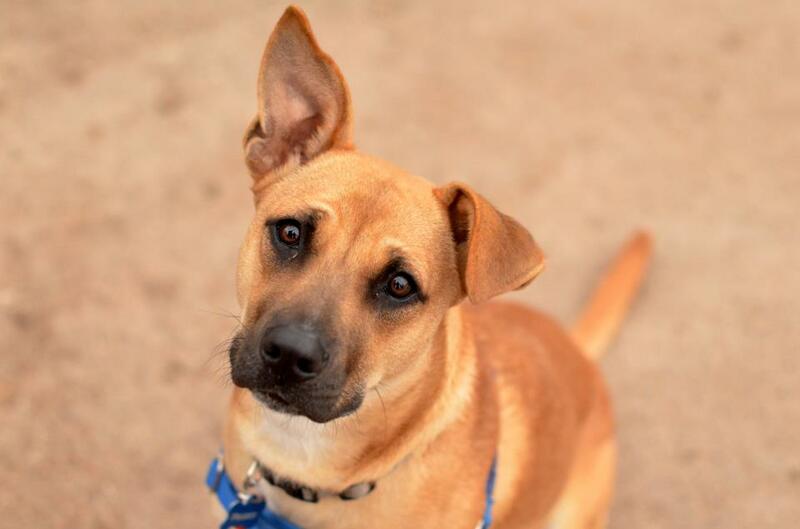 A study out of Michigan State University shows that “60% of dog owners that take their pets for regular walks meet federal criteria for regular exercise. Nearly 1 in 2 dog walkers exercise an average of 30 minutes a day at least five days a week. Only about 1 in 3 of people that don’t own dogs get that much regular exercise.” According to an article on Positive Psychology News, “owning a dog is also associated with improved blood pressure and cardiovascular health, lower cholesterol and triglycerides as well as decreased anxiety.” Along with these myriad benefits, dog owners just tend to live longer. Of course, my family wasn’t thinking of all these things when we welcomed Franny into our family last winter. We just wanted a dog to love and be loved by. If you are looking for the same, check out your local SPCA chapter or petfinder.com. You won’t regret it! The Duke Clergy Health initiative has been talking to pastors about their wellness for nearly six years now. One theme that comes up regularly in these conversations is stress. We know that pastors juggle many responsibilities and expectations and are often asked to be present with people during their most trying moments. But what IS stress? Is it a feeling? Is it measurable? We know that stress is not experienced in the same way by every person: the circumstances that trigger the stress response in you are likely different from those that cause stress in those around you. Earlier this year, we added a new tool for understanding and managing stress to our Spirited Life wellness program. It’s an interactive coaching system called meQuilibrium. This program caught our attention because of its highly-customizable, holistic, insightful approach and practical tools. Over the past few months, many clergy in Spirited Life have had the opportunity to take part, and we’re pleased to have negotiated a special rate that will enable any friend of Spirited Life to use the program at the highly reduced rate of only $10/year. meQuilibrium starts with a comprehensive meQ assessment designed to evaluate your individual personality type, thinking patterns, habits, and lifestyle, and pinpoint the areas that create the most stress for you. Based on your responses, you’ll instantly receive your stress profile – an in-depth analysis of not only where your stress is most pronounced, but how your unique thinking and lifestyle habits led you there. The meQ program will then give you a personalized prescription of skills that will help you change your stress response. To learn more about meQuilibrium and to sign up at a reduced rate, visit: www.mequilibrium.com/duke-friends.